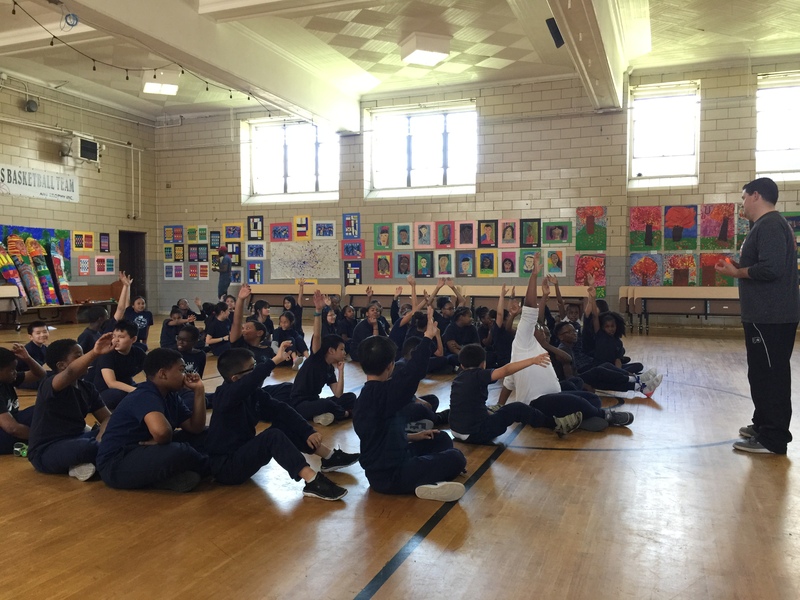 St. Helena Incarnation School celebrates the 6th Annual Every Kid Healthy Week! Every Kid Healthy Week is an annual observance the last full week of April each year. The week was created to celebrate schools’ efforts nationwide in adopting holistic wellness environments. Schools celebrate the important connection between healthy eating habits, physical activity, and learning through games, activities, and educational lessons. This year, Nutritional Development Services partnered with St. Helena Incarnation School and the Philadelphia Flyers Community Relations team to celebrate the event. 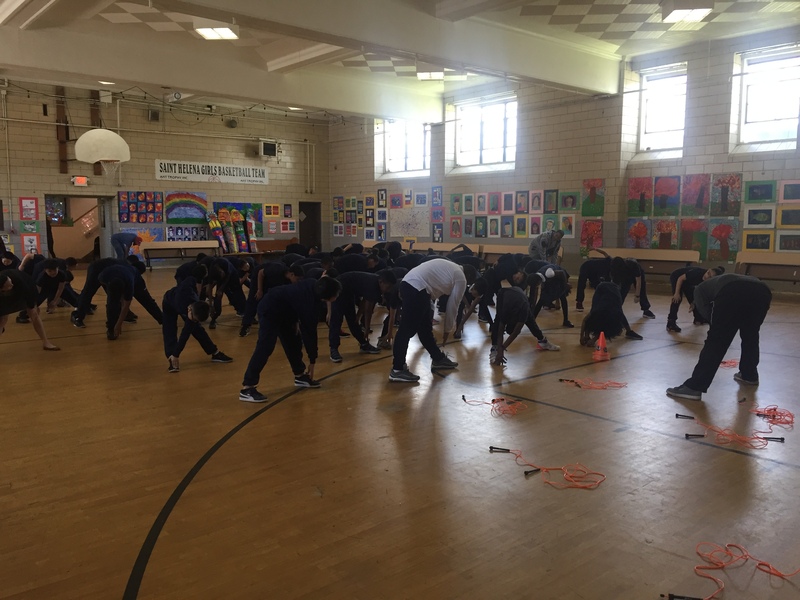 On Thursday, April 26, third and fourth graders from St. Helena Incarnation School participated in the Flyers Face-Off for Fitness program. Jason Tempesta, Flyers Community Relations Coordinator, stressed the importance of nutrition and physical activity in living a healthy lifestyle. “Mr. Jason” engaged the children about breakfast’s key role in providing an energizing start to the day. He also emphasized the significant difference that healthy snacks can make in our ability to stay focused throughout the day. Following the brief nutrition lesson, students were thrilled to be up and active! 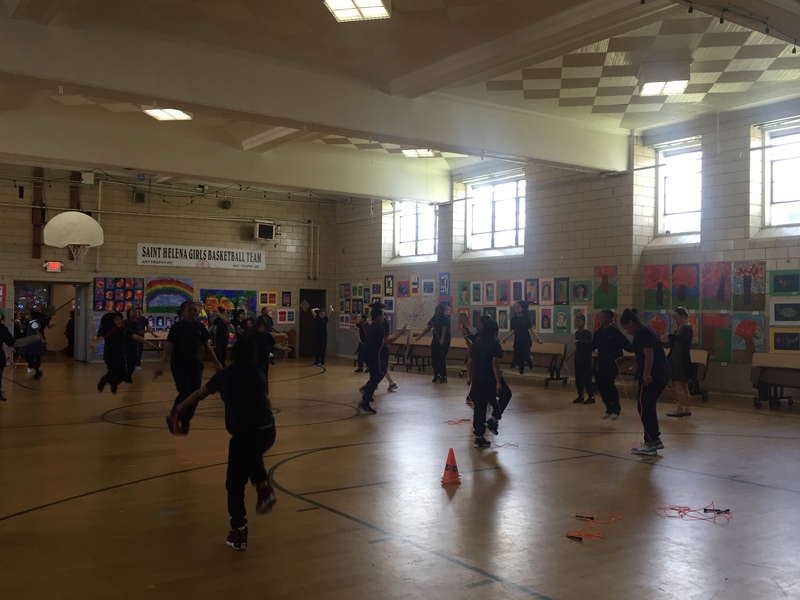 Nearly 100 students took on the challenge of sit-ups, push-ups, jump rope, and a relay race. Jason emphasized a key Philadelphia Flyer’s value: the importance of practice and persistence. As would occur after a National Hockey League game, three “players” from each group were designated “Star Players of the Game.” Jason chose students based on their exceptional efforts and hard work. One of the Star Players expressed how much fun he had, even though he had never jumped rope before. All the students enjoyed the event and learned how important it is to be physically active for at least sixty minutes per day. Face off for Fitness and Every Kid Healthy Week are great examples of ways schools can promote healthy living; Engaging students in a fun, interactive and educational activity that promotes physical fitness is a wonderful way to celebrate the health and wellness achievements of students! Students were challenged to jump rope for one minute straight! 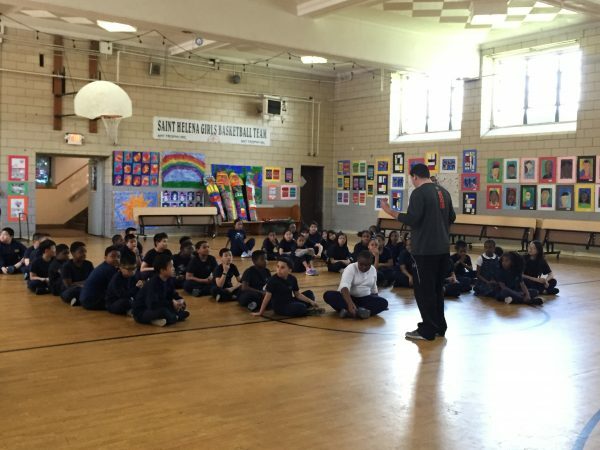 St. Helena Incarnation School is just one of the one hundred schools throughout the Philadelphia region that NDS has partnered with to administer the National School Lunch and School Breakfast Program for the 2017-2018 academic year.